Anyone else gearing up for Halloween?! I should really preface this post by saying that I’m not a huge Halloween lover! Nevertheless, I do still love to go out and enjoy all that the holiday has to offer with my friends. And that usually requires a costume! So, how do you participate without going costume crazy?! I have the answer! Find simple pieces and accessorize. 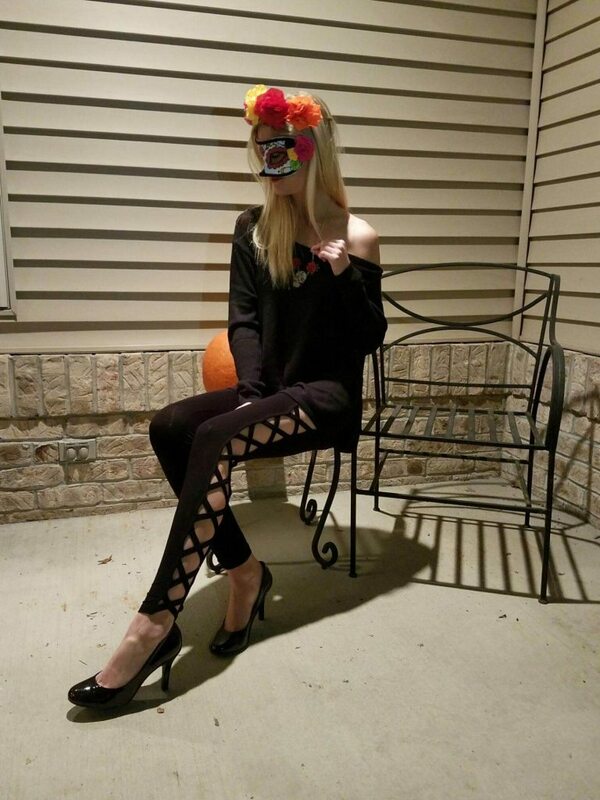 In my case, I went with fun leggings and a black sweater and added a head piece and a mask to attempt a day of the dead themed costume. My sister drew on my face with eyeliner and though we forgot to take a close up picture of it, I promise, it looked awesome! 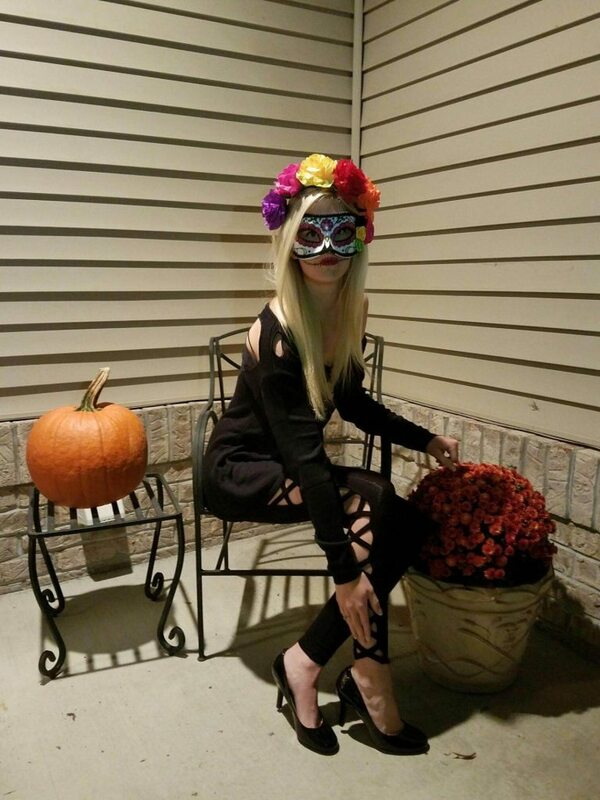 This costume is so quick and easy and that is my favorite way to participate in the Halloween festivities! All the fun without the hassle! 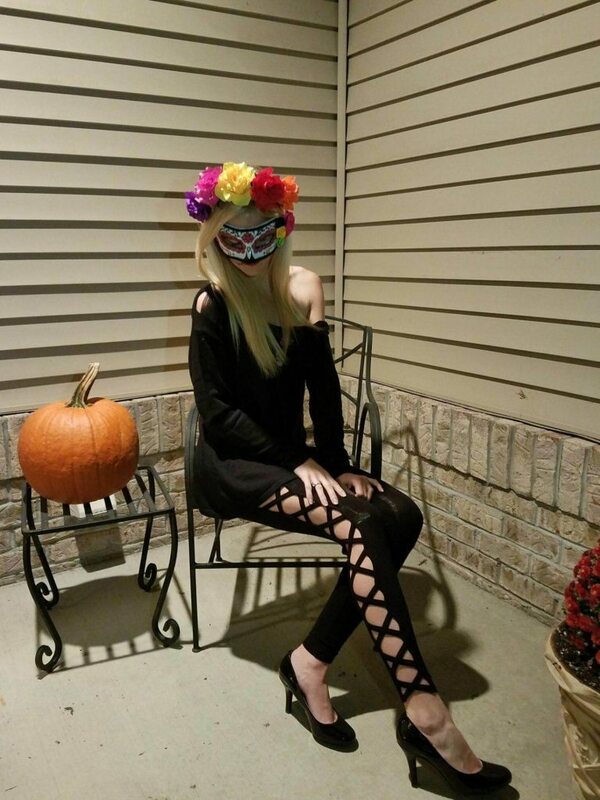 Anyone else have any fun Halloween costume ideas?! I would love to hear about them! If you’re looking for more inspiration, click on the links up top, SheIn has got you covered!